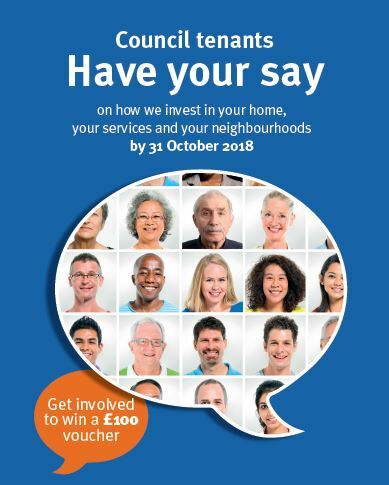 Every year we ask Council tenants for their views on how their rent should be spent to inform the Council housing budget for the following year and a five year investment plan. In 2018 tenants expressed strong support for building more affordable homes and for modernising and improving existing homes. Tenants particularly supported moves to make homes more energy efficient, and therefore, more affordable to heat. We used the outcome of the consultation to inform the 2019/20 Housing Service budget and rent levels. At its budget meeting on 21 February 2019, the Council agreed a 2% rent increase for 2019/20, which will fund the housing service and support a £870 million capital programme over the next five years to invest in new and existing homes. Every year we ask Council tenants for their views on how their rent should be spent. We use the responses to inform the Council housing budget for the following year and a five year investment plan. Please only complete this survey if you are a City of Edinburgh Council tenant. The outcome of the consultation will inform the 2019/20 Housing Service budget and rent levels. The Council will discuss the draft budget at a special budget meeting in early 2019.